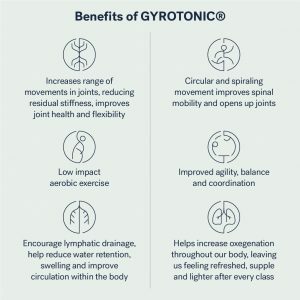 Created by Juliu Horvath, a former principal dancer with the Houston Ballet, the Gyrotonic Method was developed as a way for him to regain strength and agility after suffering several debilitating injuries during his dance career. Central to Gyrotonic is the Gyrotonic Expansion System® (GXS), a specially designed wooden machine with rotational discs and weighted pulleys, which allow the exerciser to strengthen their muscles, increase flexibility and stimulate the nervous and lymphatic system through flowing, circular movements. What to expect at a Gyrotonic® class? Gyrotonic is a unique exercise system and if we had to compare it to other exercise systems, it is similar to Pilates and Yoga in its mindfulness and breath work, and Tai Chi and Dance in its’ fluidity and synchrony. Most exercises, such as running, cycling, swimming, weight lifting, even Yoga and Pilates, tend to move the body only in 1 to 2 dimensions. With its’ emphasis on rotation and spiralling movement, Gyrotonic is unique in its’ range of movements being three-dimensional. It is built on the idea that our body is like a gyroscope, always moving and changing directions, instead of a big lunge forward and then back, for instance, you’re going to move in big circles, giving your joints a much larger range of motion. The sweeping movements mimic reaching up to high shelves, crouching down to pick something up or carrying shopping. Exercises start using the rotational disc to facilitate spinal articulation and progress to the arms, neck and shoulders. As the class progresses, weighted pulleys with straps are attached to your feet, as you perform movements, with your limbs getting stretch and strengthened. Incorporating deep inhales and long exhales, the breath is synchronised and specific to each movement pattern. Initially, focus is on breathing, technique and coordination – as you improve and complete the exercises faster, each class will feel more dynamic and aerobic. Depending on your movement background, it may take about 5-10 sessions to become comfortable with the 3 dimensional movements, breath patterns and coordination and to progress to more advanced exercises. What are the benefits of Gyrotonic®? The unique benefits of Gyrotonic arises from its’ 3 dimensional circular movements against resistance. movements, such as stair climbing, carrying children or lifting a suitcase of the baggage belt. The multi-directional circular movements improve spinal mobility and opens up joints. By increasing the range of motion in a joint, it reduces residual stiffness, improves joint health and flexibility. With speed and endurance variation, the movements done in Gyrotonic are able to stimulate the aerobic system as well. Being low impact, it is of particular benefit to those with joints conditions, such as arthritis and instability. These circular movements also encourage lymphatic drainage, which can help reduce water retention, swelling and improve circulation within the body. By coordinating the movement with breath work, it helps increase oxygenation throughout our body, leaving us feeling refreshed, supple and lighter after every class – like a moving massage! 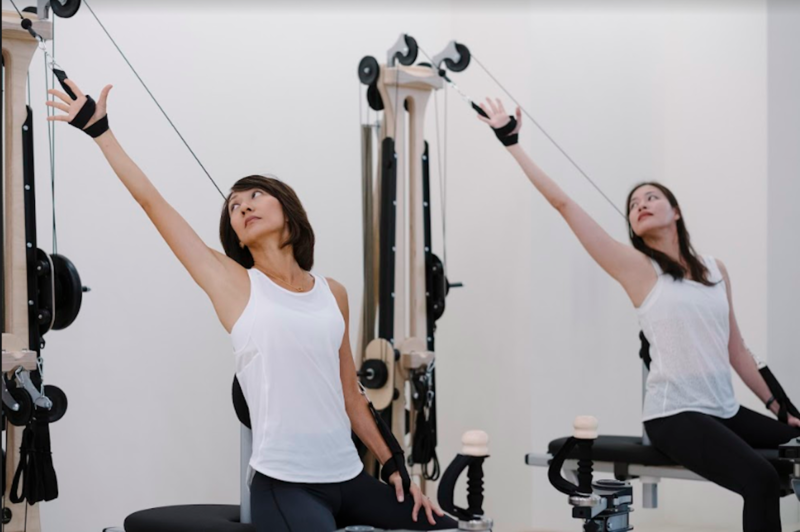 Gyrotonic® Group Classes will be available in Breathe Pilates Novena starting in January 2019. Do look out for the schedules coming up in December!